Dean Buchser is a craftsman, a master carpenter, a designer and builder of homes, and a wilderness river guide. This is all a part of what makes him who he is and what shapes the art he brings into the world. 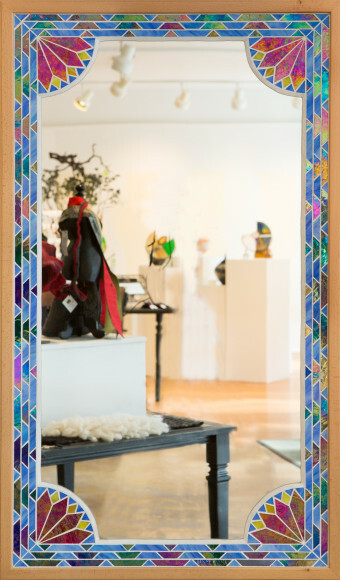 Creating mosaics for over twenty years, he thrives on the vibrant colors and reflections in his mosaic mirrors. The convex mirrors warp what we see into what it just might be. What exactly is behind the looking glass? Visit Studio 2 to view his work. Frankie Hernandez will be playing upstairs and the Leo Miller band in the basement. Tiffany Hokanson will be the featured in the Artist Underground. 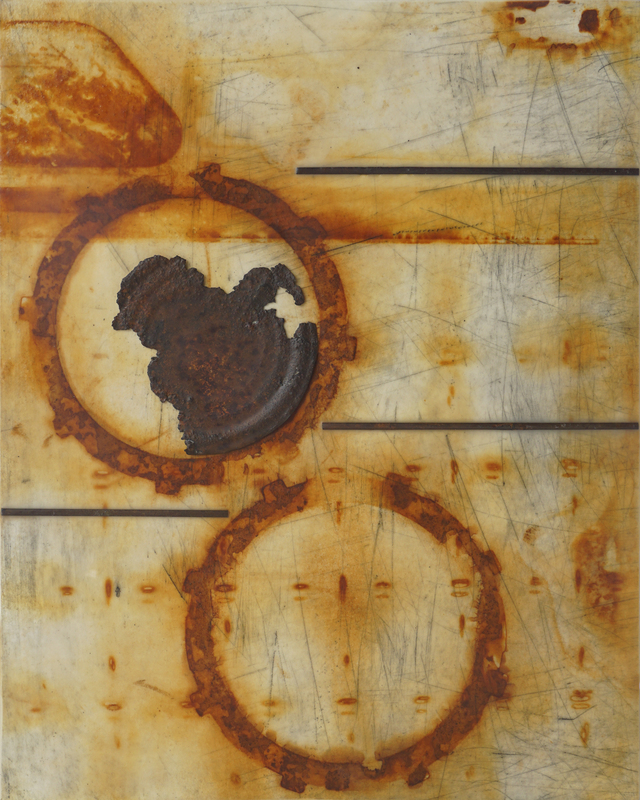 She uses fire and rust to create natural and unpredictable effects in her printmaking that highlights the serendipity in these processes. 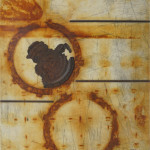 She appreciates the visible signs of wear and degradation that occur naturally to materials over time, so she often highlights cracks, scratches or imperfections in her work.